Funny Or Die Weather. 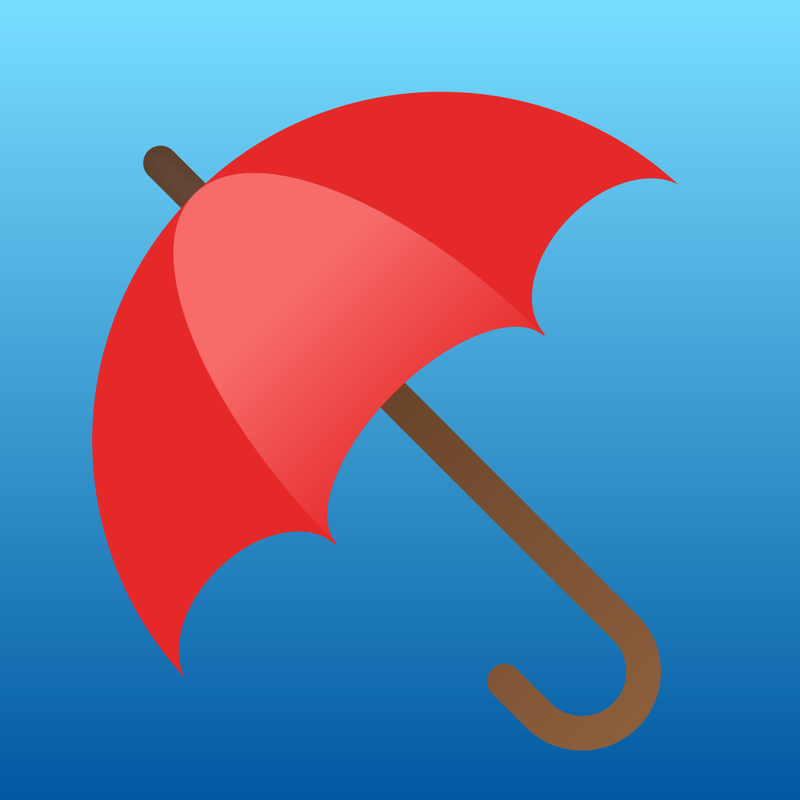 Real Weather, Real Funny (Free) by Funny or Die is a weather app with a sense of humor that most can appreciate. 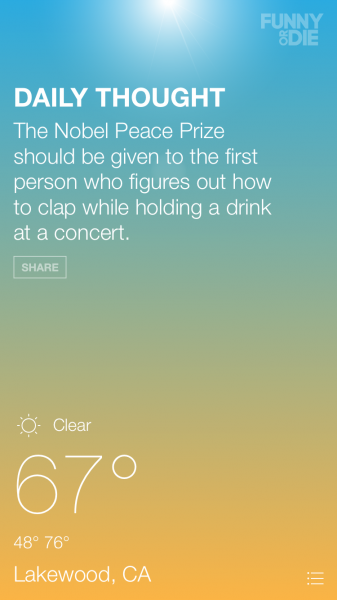 If you ever thought that the weather should come with a side of snark, then this app is made for you. It’s similar to other apps out there, such as Wthr Complete and Haze, but with jokes. I’m a bit of a weather app junkie, as I’ve gone through my fair share of them throughout the years. Even though the best way to check on the weather is, of course, to take a step outside, I like to know all of the details, such as humidity data and all that other good stuff. 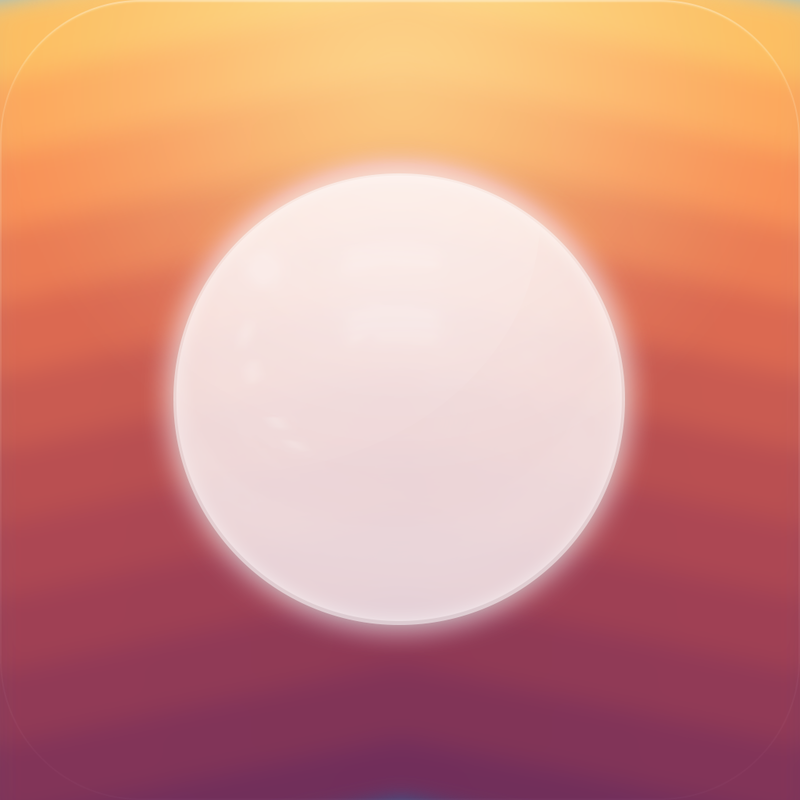 Lately I’ve settled on BeWeather 2 as my weather app of choice, but I can’t help but check out new weather apps as they come along. 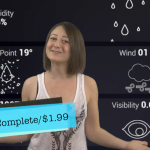 I also enjoy a good joke or two (or three), so when I heard that Funny or Die had their own weather app in the App Store, I had to check it out for myself. For those who are unfamiliar with Funny or Die, it is a creation of Gary Sanchez Productions, the production company of Will Ferrell and Adam McKay. Funny or Die has won several Emmy’s and prominently features a ton of original and user-generated content, including famous contributors as well as their own production team. Anyone with a sense of humor will value the content found on this site. 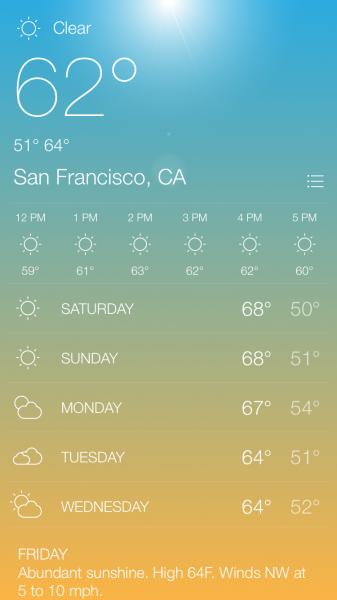 The interface for FOD Weather is simple but elegant, just as you’d expect from most weather apps nowadays. 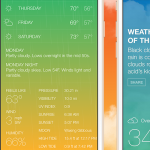 The app has gorgeous color gradient backgrounds that clearly represent the current weather conditions displayed, and the typeface that is used is highly legible, so there’s no trouble there. The icons are basic and straightforward, and despite the focus on jokes, FOD Weather packs a lot of useful information. It’s also intuitive to use, as it makes use of natural swiping gestures to navigate your way through multiple locations. By default, FOD Weather will ask for your permission to use your location. Once this is granted, your position becomes the first locale that is in the list. 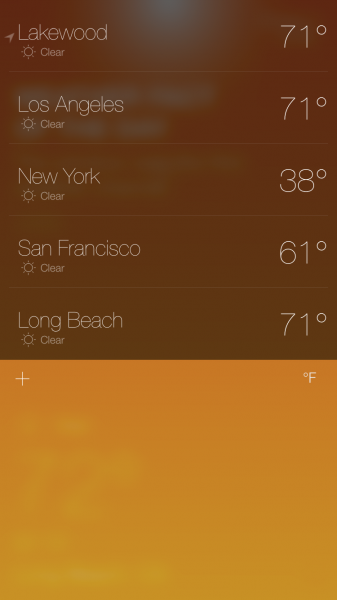 The app already adds the cities of Los Angeles, New York, and San Francisco for you, though you can edit the city list by tapping on the “hamburger” button in the bottom right corner. 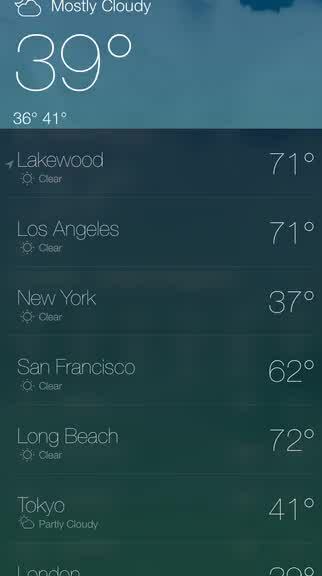 The location list displays current temperatures and conditions for the city too, so you can get all of that information in a single glance if needed. To delete a city, just swipe to the left and it reveals the delete button. 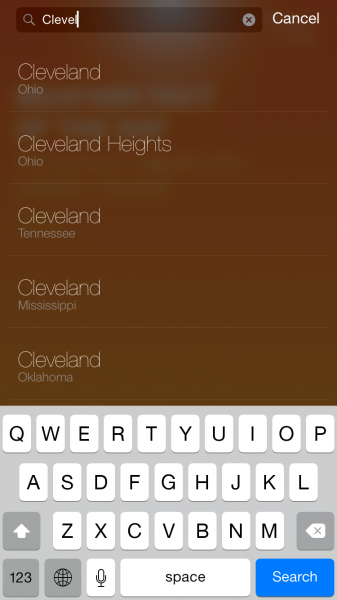 To add a new spot, just tap on the plus button and search by city or zip code. FOD Weather works globally, so you can add your favorite locations from all over the globe. 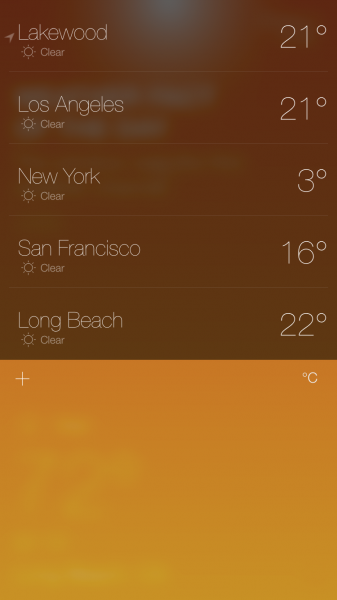 A nice feature in the list is the ability to quickly toggle between Fahrenheit or Celsius with a single tap. Users can add as many locations as necessary, and you can quickly jump to a specific one from the list, or just swipe horizontally on the main view to go through all of them one-by-one. When you’re viewing the weather info for a specific location, the first thing you’ll see on the screen is the “Daily Thought,” which are words of wisdom from the Funny Or Die team. These are things like jokes or hilarious (but honest) bits of advice, and each location will get a different one every day. In the bottom half of the screen will be the basic weather data that you need to know, such as current condition, temperature, highs and lows, hourly and five-day forecast, text forecasts, feels like, humidity, and other bits of information. The data is provided by Weather Underground, so you know it’s accurate. I’ve compared the information in FOD Weather to BeWeather 2, and they’re exactly the same. So even though FOD Weather may not seem like a serious app, you’re still getting the same information from other non-humorous weather apps. 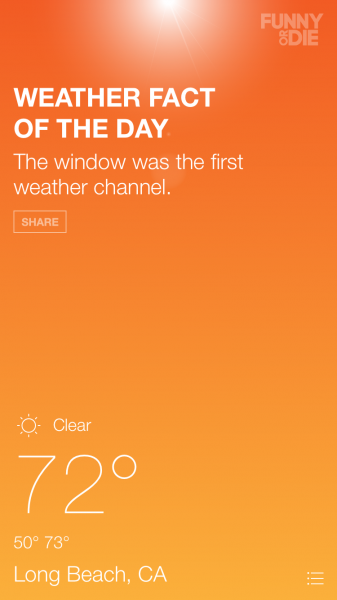 While Funny Or Die Weather may not be dethroning BeWeather 2 for me personally, I’m still enjoying the app a lot. The design is minimal and elegant, which is something I always love for weather apps, and the data is precise but the comedy is a charming bonus. 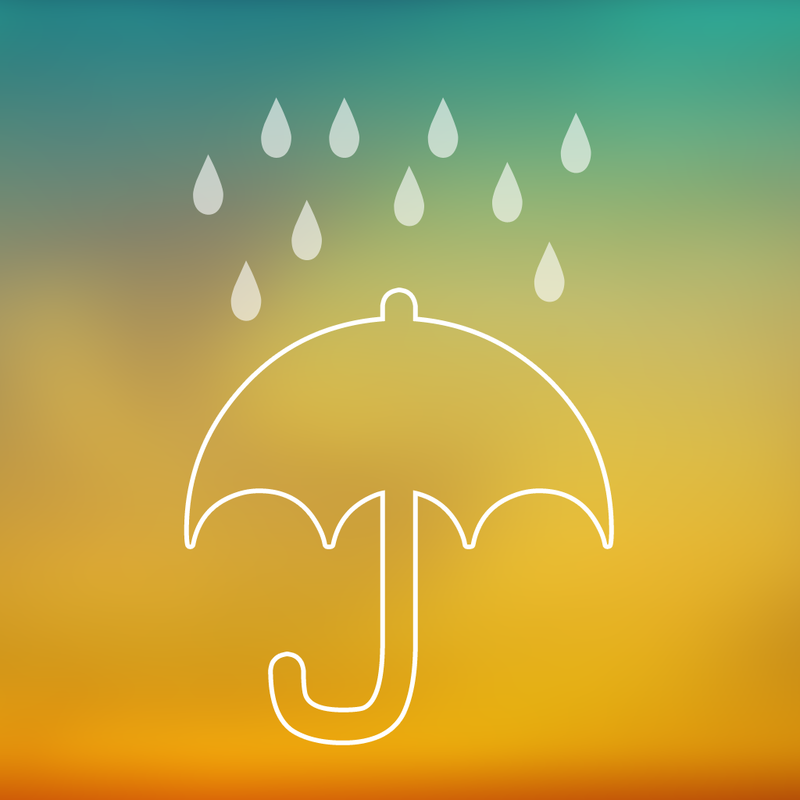 I got several laughs out of this app, and it’s a fantastic solution for someone who is looking for a weather app that has an amusing personality. 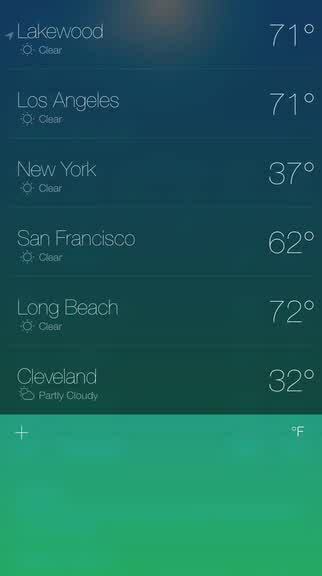 I think it would be even better if the developers added a widget that featured the current conditions, temperature, and Daily Thought so you don’t always have to launch the app to get your laugh. Still, I recommend giving Funny Or Die Weather a look if you want hilarity with your weather. 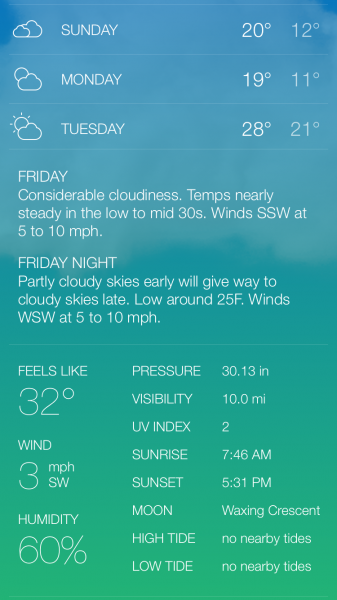 You can get Funny Or Die Weather on the iPhone App Store for free.